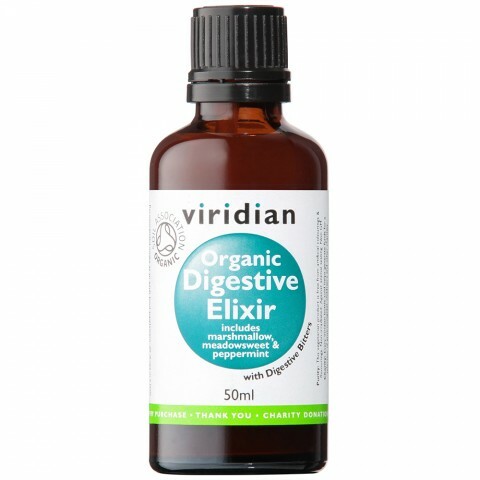 Stimulating the digestive system prior to eating, ensuring optimum digestion occurs. The digestive process begins in the mouth, when the taste buds stimulate saliva to release enzymes. Cultures around the world have traditionally used bitter flavours to stimulate the digestive system. Creating a tincture by steeping bitter-tasting roots, leaves, berries and fruits in alcohol and serving the mixture before or after a meal. Often the formula was accompanied by more pleasant tasting carminative herbs such as peppermint or fennel.The history of bitters during the 1880s intertwined with that of the cocktail as bartenders discovered that bitters softened the often harsh alcoholic beverages of the day. Until the late 1880s, any drink called a cocktail contained bitters including the martini, the Manhattan and the Old-Fashioned. Only in the 1950s did the trend for bitters in cocktails fade. Water,æOrganic Honey,æOrganic Alcohol,æOrganic Fresh Marshmallow Extract,æOrganic Fresh Meadowsweet Extract,æOrganic Peppermint Extract,æOrganic Fennel Extract,æOrganic Fresh Angelica Extract,æOrganic Gentian Extract. Recommended intake as an adult food supplement: 20 drops in a little water, three times daily, shortly before main meals or as needed.¾ Maximum 60 drops a day.